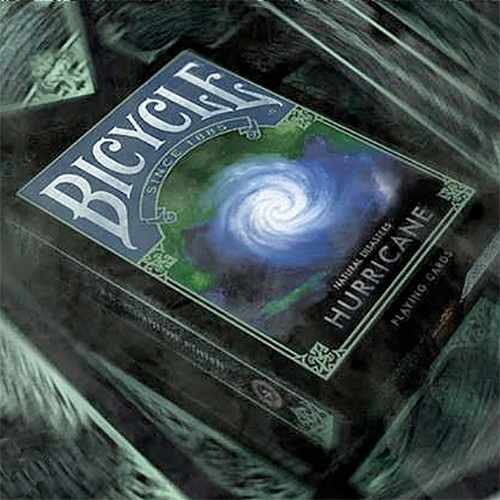 The Bicycle Natural Disasters "Hurricane" Playing Cards is the fifth in a series of 7 natural disasters. All the natural disasters are the deadliest forces that mother nature has to offer. This deck is about the devastating Hurricane. Printed by USPCC. Custom Pips. Air-Cushion Finish. Custom Seal. • The cards are poker size and of the usual Bicycle quality.